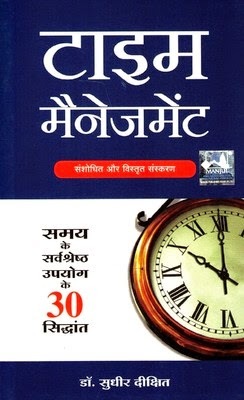 Time Management (Hindi) is an informative and authoritative guide to time management. This book is written in Hindi. Time Management is a handy reference to managing time efficiently and competently. The author includes thirty principles which will enable readers to plan their day and organize their work better. This book is essential for those who want to learn how to manage their time better. Dr. Sudhir Dixit is an Indian author. He has authored several books including Dhandha: How Gujaratis do Businesses, Prabhavshali Leadership Ke Sutra, and 101 Mashhoor Brands.